MESA, Ariz. — Saying he’s in a better place both mentally and physically this spring, Chicago Cubs righty Yu Darvish is looking to rebound after a season to forget in 2018. Poor performance gave way to an elbow injury last season, but he says that’s all behind him now. Darvish was asked if things were weighing on him last year after signing a six-year, $126 million contract with the Cubs. Darvish spoke to reporters in English — another sign he’s feeling more comfortable in his surroundings — after throwing his first bullpen session of the spring. He declared himself 100 percent ready for the new season while continuing to open up about his feelings over the last 12 months, something his manager took note of. 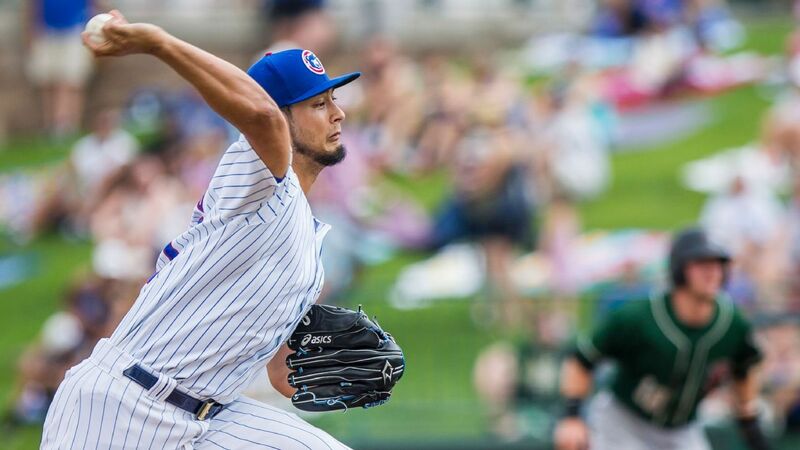 Darvish went 1-3 with a 4.95 ERA in 2018 before going down with an elbow injury. Starts and stops in his comeback attempt exasperated fans and eventually he was shut down after just eight big league outings. He said he finally started to feel like himself again late last year, with the injury in his rearview mirror and a year in Chicago under his belt — though it was a rough one. They could use him as they have an aging but talented rotation. Health will be a key component for their success.